The Home Energy Assessment or Audit evaluates your home’s current level of energy efficiency and pin points how Building Efficiency can help you increase that level of energy efficiency. Home Energy Assessments check your home for combustion safety issues such as gas leaks, as well as indoor air quality and other home comfort and safety elements. Building Efficiency has designed our Home Energy Assessments to take into account each individual homeowner’s needs and goals. We begin the home energy assessment with a customer interview so we can get to know your goals and concerns. A home located in San Francisco has different energy needs than a home located in San Mateo. Whether it’s comfort or energy savings, we customize the solution with a road map of energy upgrades and rebates from state and local programs. 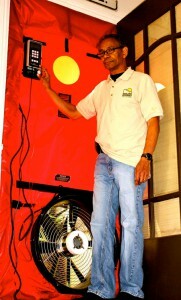 What Happens During an Energy Audit? Typical evaluation methods used during Building Efficiency’s Home Energy Assessment include locating drafts, checking for insulation (checking walls, attic, floors), creating an energy model (computer modeling for planning and rebates), evaluating duct-work (checking duct systems), and checking for moisture or combustion safety issues (gas leaks, back drafting, combustion flue gases, indoor air quality). Contact Us Today for A FREE Rebate Consultation!